Do you love to play Tennis? Do you know someone who loves to play Tennis? If you answered yes to either of those questions, then you surely must be considering this superb customisable wall sticker, depicting a pair of Tennis rackets, with a Tennis ball and a customisable name! 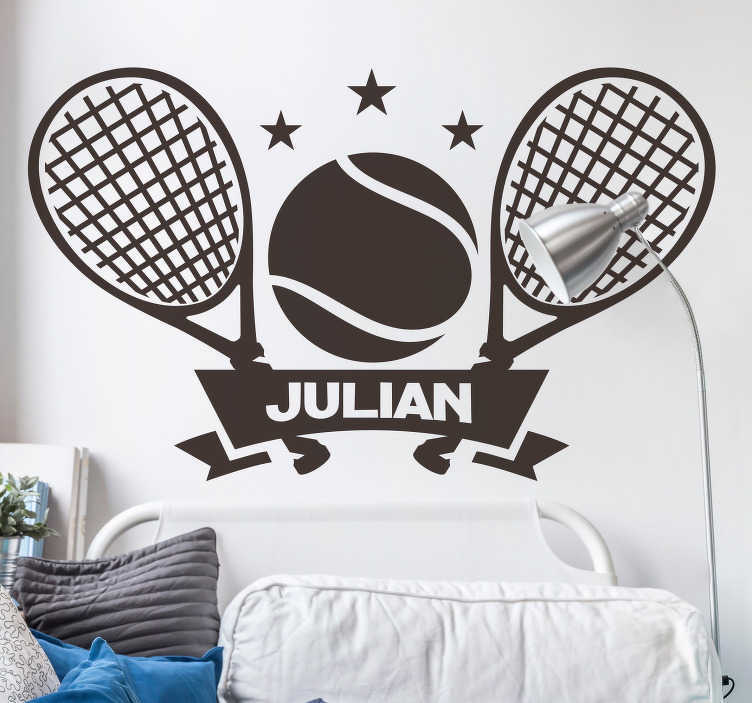 An ideal Tennis wall sticker for those who dream of being the next Roger Federer and for those who just enjoy the odd knock!